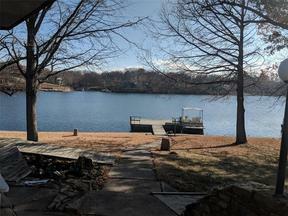 Weatherby Lake is a private lake community just north of Kansas City not far from the Kansas City Airport. With a population of 736 households, this community was developed around a 274 acre lake within the Park Hill School District. It has panoramic rolling hills and lush greenspace. Weatherby Lake has worked hard to preserve the rural and rustic feel within the community. There is something for everyone with home prices ranging from $100K to over $1M. 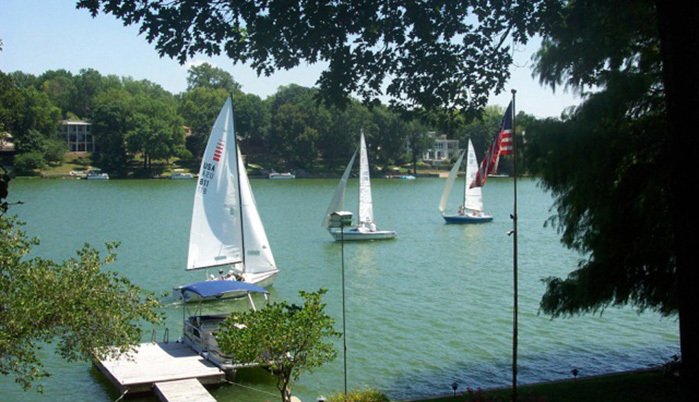 Lake Weatherby offers 274 acres of lake for incredible boating, sailing, swimming and fishing. Enjoy your days with a myriad of activities or just relax in the beautiful water. Many lakefront properties come with docks. Weatherby also allows residents to own additional shoreline space to enable a resident to put a dock in. One can rent/own one of many docks available throughout the community. Weatherby Lake is a full of activity options. There are 8 city parks and a community center. The sports enthusiast will love the golf, tennis courts, and many nature trails surrounding the lush greenspace. You can horseback ride or just spend the day at one of the picnic areas. Weatherby Lake prides itself on the clubs and activities it hosts. You can join the Fine Art League, Fishing or Gardening Club. Meet new friends at the Irish-American Club. The Junior Sailing Club is a hit among the young. Know thy Neighbor, Stitch Group and Neighbors Helping Neighbors are some other groups to get involved in. Join the Lake Yacht Club, Weatherby Single Friends or Women’s Club as well. Community events include Fourth of July celebration and Music in the Park. Weatherby Lake is known as one of the best kept residential secrets in the Northland with a close commute to the Kansas City Airport. You can escape to the peaceful setting of this community and get out and enjoy the many activities and amenities included in the rich lake lifestyle that residents here enjoy! © 2018 Renee Amey Team. The information displayed on this page is confidential, proprietary, and copyrighted information of Heartland Multiple Listing Service, Inc. ("Heartland MLS"). © 2019, Heartland Multiple Listing Service, Inc. Heartland MLS and RE/MAX Elite do not make any warranty or representation concerning the timeliness or accuracy of the information displayed herein. In consideration for the receipt of the information on this page, the recipient agrees to use the information solely for the private non-commercial purpose of identifying a property in which the recipient has a good faith interest in acquiring. The data relating to real estate displayed on this website comes in part from the Heartland Multiple Listing Service, Inc. database compilation. The properties displayed on this website may not be all of the properties in the Heartland Multiple Listing Service, Inc. database compilation, or all of the properties listed with other brokers participating in the Heartland Multiple Listing Service, Inc. IDX program. Detailed information about the properties displayed on this website includes the name of the listing company. Data last updated 04/19/2019.